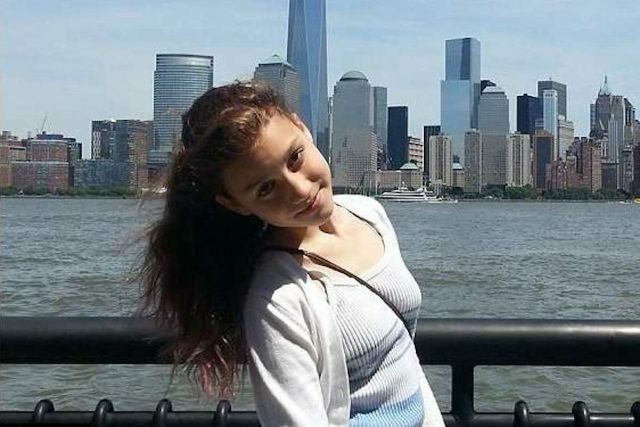 Pictured, 15 year old teen who fell to her death from Tribeca fifth floor building. Imogen Roche, a 15 year old teen girl falls to her fifth floor Manhattan death while retrieving phone from a locked room during Tribeca house party to impress teen boy. A 15 year old girl attending a Tribeca house party in downtown Manhattan has died after falling five floors to her death while attempting to retrieve her cell phone from a locked room. The teen girl, identified as Imogen Roche, an aspiring actress had been attending a party on Reade St. at W. Broadway when she went out onto a fifth-floor fire escape at around 11 p.m. abc7 reported. The teen had been trying to gain access to a locked room within the apartment where the party was being when she slipped and fell, landing on her back on the sidewalk. Sources revealed the teen having left her cell phone in a room that had been locked at 11pm. Cops described the incident happening on the top floor of a five-story building. A follow up report via the nypost on September 4 revealed Imogen attempting to impress a teen boy present at the party unsupervised by adults where she had been drinking alcohol along with other teens. Upon the boy, ‘throwing a fit,’ because his phone was locked in another room, sources said Imogen volunteered to scale the outside fire escape in a bid to enter through another window and attain access to the locked room. It’s while scaling the fifth floor landing at an angle that Imogen Roche slipped and fell below. Medics rushed her to Bellevue Hospital Center, but she couldn’t be saved. The sidewalk remained stained with blood Monday morning. The owner of the apartment was out of town, with some of the teens at the party drinking, police said. The teen girl who was a sophomore at Beacon HS was remembered affectionately. Imogen’s father, Theseus Roche, was revealed to work as a director of after-school programs for Manhattan Youth. The nypost also described Imogen’s father being a writer, actor and a member Screen Actors Guild. Up to 20 teens had been boozing it up while tenants of the apartment were away in Pennsylvania, according to police. A relative of the tenants had been at looking after the apartment earlier in the day but left to go out, according to police. Police are talking to the owner of the apartment, the mother of Imogen’s friend. Police do not expect to press charges against anyone. 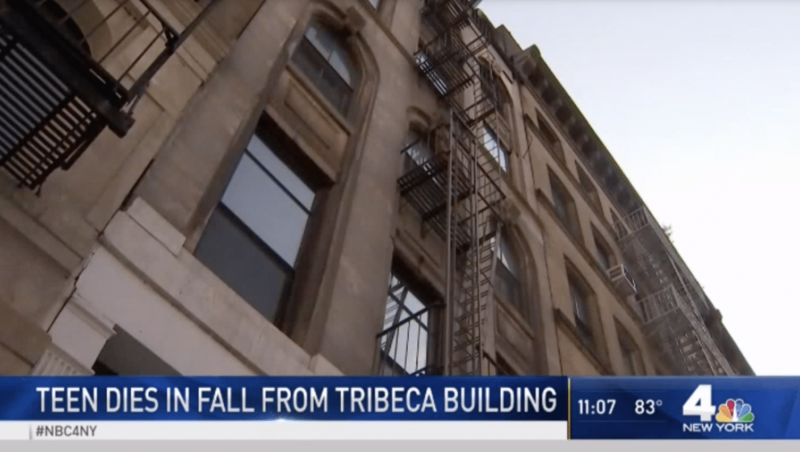 Pictured the Tribeca building from which Imogen Roche fell to her death.